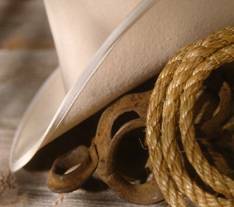 Here is all the planning for your western theme dinner. 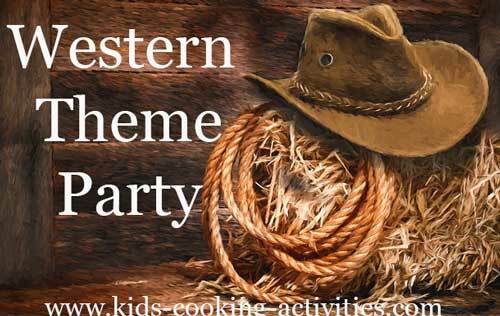 Start your theme dinner by dressing with bandannas, cowboy hats and jeans. Fill a cowboy boot with fake sunflowers or place a stuffed horse or toy horses in the middle. Create a corral around the horses with sticks. Mix beans together in a casserole dish. Set aside. Cook bacon and allow to cool. Crumble and cook onions in pan with some of the bacon grease. Take onions out when transparent and stir into beans. Add bacon and hot dogs to bean mixture. In a large measuring cup add brown sugar, ketchup, Worcestershire sauce and mustard. Stir into bean mixture and bake at 375 degrees for 1 hour. Butter slices of thick bread and place on a cookie sheet. Cook in the oven on 450 degrees for 5-10 minutes until crispy. 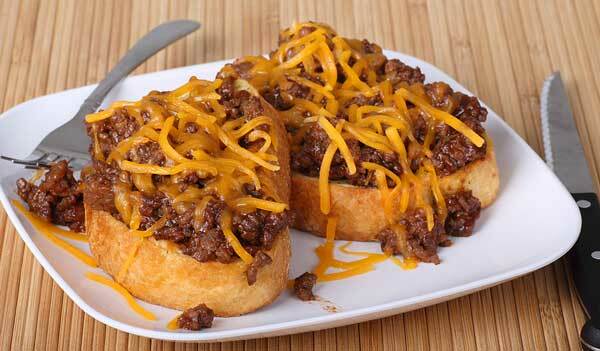 If desired add shredded cheese, Parmesan cheese or seasoning. This would go well with the beef stew. 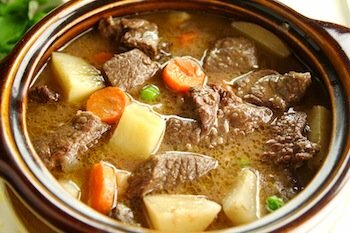 Try some Dutch Oven Cooking recipes, a great Cowboy theme party method of cooking. Set up some light weight objects, such as empty water bottles for the guests to shoot down with their water guns. The teams line up and face each other. The first player on each team is given a ball of string. Here are some we like.